This search tool / provider is primarily designed to be used with DFS. 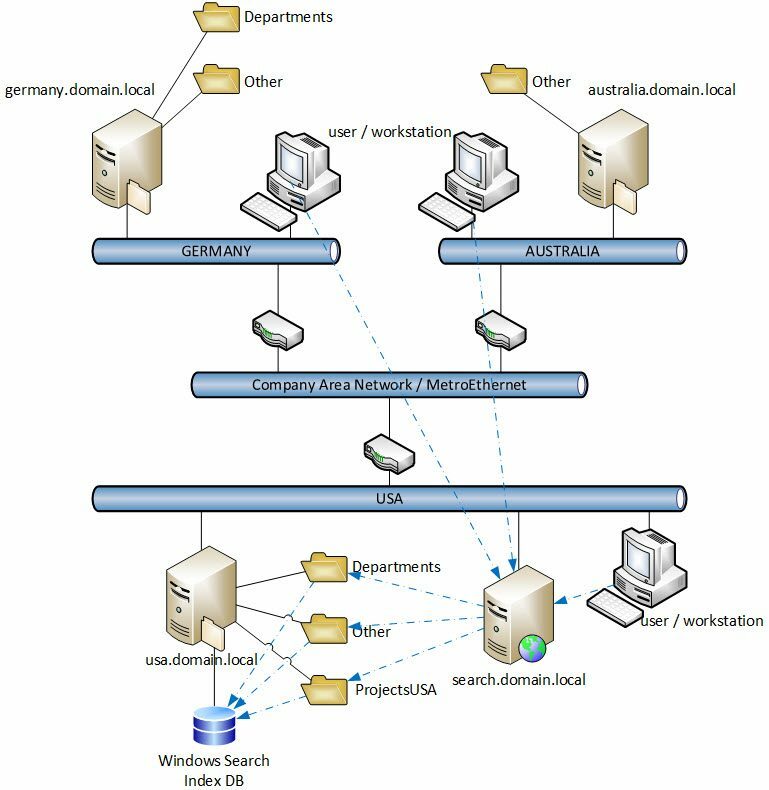 There really is no big advantage if you use it to search on directly mapped regular shares, cause the users, respective their Windows client, can directly interact on regular ways with the index on the file server via Windows Explorer. 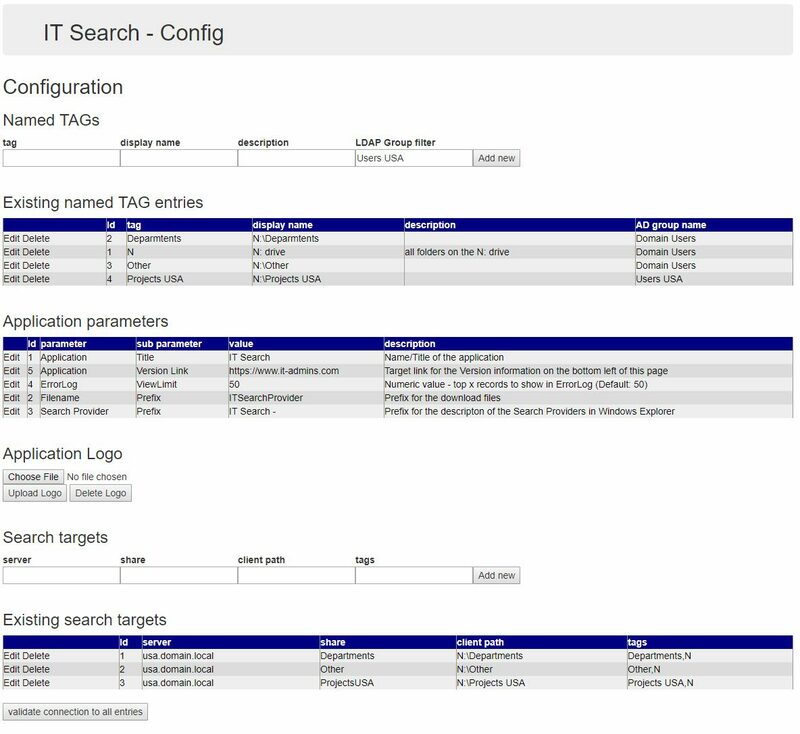 Make a decision in which location you want to have the search provider hosted and where the Windows Indexing on the file servers needs to be configured. 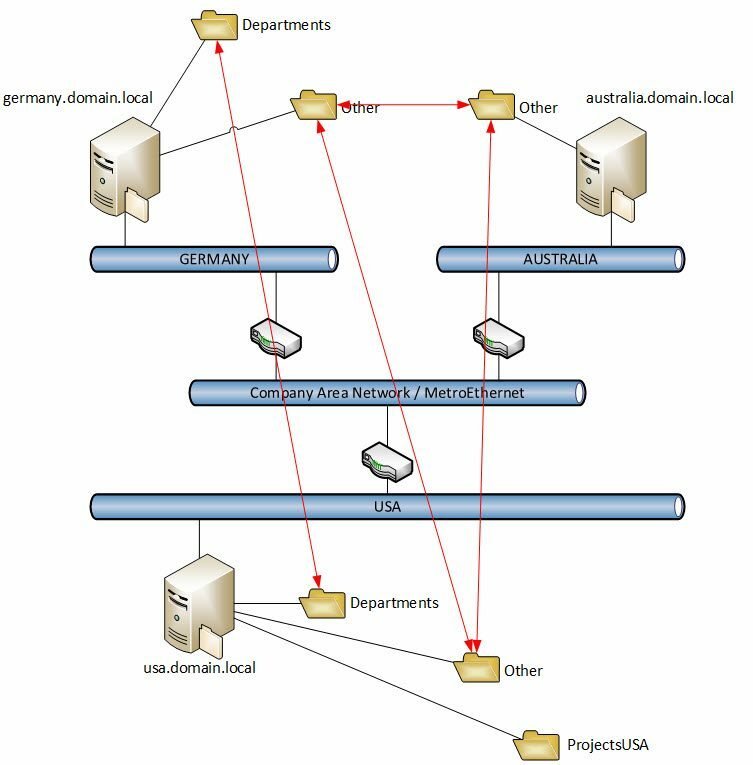 Since all shares in the above example are available directly in USA it is only logical to put the web site on a server in the same location as well as configure the Windows Search Index on the servers \\usa.domain.local (those can be various servers as per share etc.). Please refer to configuration in the online manual for further details. 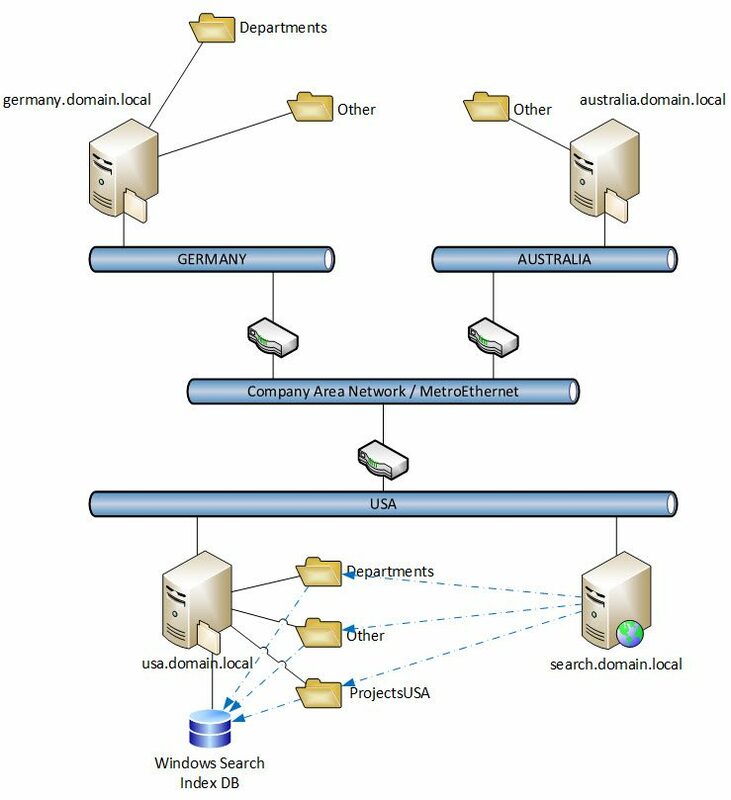 You now can provide the search providers to your users where they can open them and search on them against the web server who then will find the according name spaces, execute a search against the defined indexes and check if the user has actually access to the found results, if this is the case they will be reported back to their Windows Explorer where they will see the results. Ultimately the client now access through the Windows Explorer search providers the web servers hosting the search application. 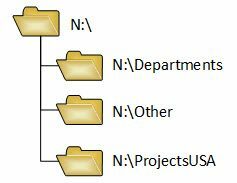 The application knows a UNC share path to a single target file server against which the query will be executed – checked for user rights at the file/folder level and eventually reported back to the client. Please refer to Search Providers in the online manual for further details.